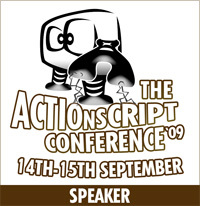 This month Fabio Bernardi will talk about loading and parsing XML microformats using Adobe AIR and Flex 3. The webinar will be recorded. The registration link will be published on the FlexGala Seminar page. FlexGala won't stop to publish the contents during the holidays. In fact thanks to the great supporter members the UG will be able to garantuee at least one article per week in August ! This session provides ColdFusion developers with hands-on, practical experience connecting their Flex 3 client applications to remote, dynamic data provided by ColdFusion and LiveCycle Data Services. This session provides experienced application developers with hands-on, practical experience connecting their Flex front ends to remote, dynamic data using LiveCycle Data Services. Get hands-on, practical experience using Flex. This full-day course will include everything you need to get started building applications with Adobe AIR. When I was at the AdobeLive I was interviewed by ICTv, the web television dedicated to the IT world. They asked me about Adobe AIR and what it means for developers and about the Flex 3 and open source plan. It was very fun !! Today is the second day of AdobeLiveConference here in Italy. I'm here with Enrique (and some enormous mosquitos) in the business room of the AdobeLive and we're about to start our presentation. Enrique will present Adobe AIR (formerly Apollo) and talk about Flex 3 and new features. After his presentantion I'll show the integration of the Adobe CS3 with Flex and Flex Builder. It's incredible how many things designers and creative are now able to do to help Flex developersin creating the user interface of Flex applications. Using Photoshop CS3, Fireworks CS, Illustrator CS3 and Flash CS3 , of course, they can export graphic symbols, layouts and components for the Flex enviroment. The MXML code generated from Fireworks is ready to be edited and customized by the developer in Flex Builder. 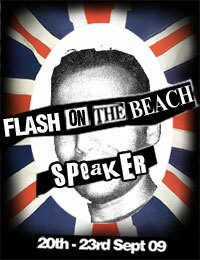 Then in Flash CS3 you can do whatever you want with the Flash CS3 Component Kit for Flex. You can interact in Flex with Flash contents, call public methods, refer to each single object. If you're in Milan come to see the sessions ! Adobe announced the Adobe AIR Developer Derby with some incredible prizes. Use the Adobe® Integrated Runtime (AIR) beta software (formerly code named Apollo) to build the most unique Adobe® AIR™ application. Then enter it into the Adobe AIR developer derby for your chance to win a trip of a lifetime or other amazing prizes. Is Adobe AIR the final name for Adobe Apollo ? The Warp blog has some suspects for the final name of Adobe Apollo. 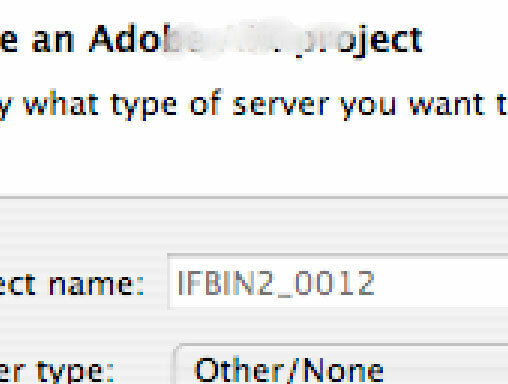 Is Adobe AIR just the name of the exentsion of the file, or it's the new name for Adobe Apollo ? Apollo will have an embedded database - The Apollo team has been working on adding SQLite to Apollo for a while and today it’s official that we’re going to be including it. Gears opens the doors for offline Flash applications - Flash is a great way to deliver applications in the browser. The fact that Adobe and Google are talking and the fact that Gears is an open source project means that adding offline support to your Flash application is a possibility. Gears and Apollo should have consistent APIs - Google and Adobe are working together with the aim of making the APIs for accessing the SQLite database similar for developers. The vision is that any Gears applications could be ported to Apollo (and vice versa) using roughly the same data structure that they use in Gears. The parallels will be great for developers. "We're very excited to be collaborating with Google to move the industry forward to a standard cross-platform, cross-browser local storage capability," said Kevin Lynch, senior vice president and chief software architect at Adobe. "The Gears API will also be available in Apollo, which enables web applications to run on the desktop, providing developers with consistent offline and local database solutions." Wow ... Now things gonna be more and more interesting. After the sneak peek at the CS3 launch event, the cross-platform kuler desktop (built in Apollo) is available for download on Adobe Labs, along with the required Apollo Runtime. 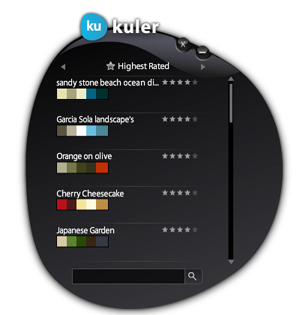 The kuler desktop offers the same RSS feed functionality as the kuler Apple Dashboard Widget but with a new form factor (see image). Users can view RSS feeds of the highest rated, most popular, and newest themes from the kuler site, search thousands of titled and tagged themes, search by kuler user name, and copy theme Hex values to the clipboard.